We see this mess on TV every day . . . so will people go to the theaters to watch as well? Should be interesting . . .
It’s weekend box office preview time: It’s “Jackass 3D” vs. Helen Mirren with a gun. Rihanna’s transition to film is continuing, with the announcement that Friday Night Lights director Peter Berg is planning to make a documentary about the pop star. Her new single from the upcoming album R8 has also been released, featuring the Bajan pop star next to Paul McCartney and Kanye West. Finally, a third victory for Rihanna — an appeals court has ruled that Topshop can’t sell T-shirts featuring the signer without her permission. Citing the Bob Dylan movie Don’t Look Back as creative inspiration, Peter Berg has signed on to make a documentary about Rihanna. It follows on the heels of her voicing the main role in the DreamWorks film “Home” and her acting role in 2012’s Battleship. According to Deadline, the film will be an “unfiltered look” at Rihanna’s life and the story of her ascent to becoming a global icon. 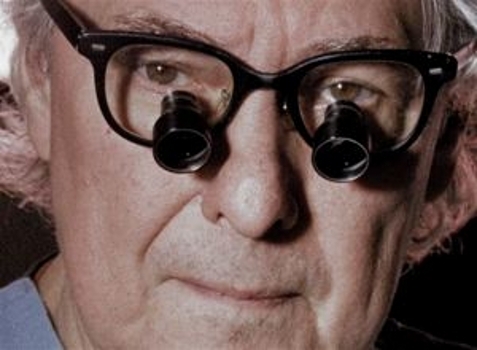 Berg, who both directed the Friday Night Lights film and also worked on the TV series, has cited the 1967 DA Pennebaker documentary on Bob Dylan, “Don’t Look Back,” as a major influence on the new project. Berg has said that he is hoping it will be more of a character study, versus a music film. Hidden Netflix Gems is a new feature designed to help readers answer that burning question, “What should I watch tonight?” It will be updated every Saturday before the sun goes down. 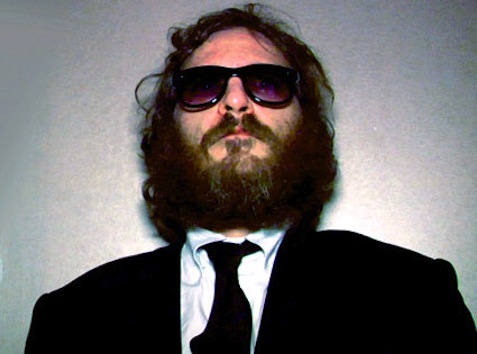 Joaquin Phoenix‘s much-publicized retirement from acting in order to pursue his burgeoning career as a rapper had cries of “Hoax!” surrounding it from the very beginning, and its subsequent critical and audience response was mostly negative. However, despite the apparent trend of people upset at being duped, Casey Affleck’s I’m Still Here is a fascinating and frequently hilarious send-up of celebrity culture anchored by an amazingly committed performance from Phoenix. In the film, as in reality, this is the kind of thing that could potentially end a career and forever ruin a reputation, and the courage he displays in sticking to it is very impressive. In one of the best scenes, Phoenix rejects an offer to co-star with Ben Stiller (who you would never guess by watching is in on the joke the whole time) in Greenberg; in another, he hilariously attempts to obtain a record deal with Sean “Puffy” Combs, who isn’t quite the actor Stiller is, though his performance is just good enough that its weaker elements could be seen as arrogant posturing for the cameras that follow Phoenix everywhere. Then there is the famous David Letterman interview, in which he mumbles and stares blankly at the roaring audience, seemingly unable to fathom why they think he’s so funny (Letterman was not in on the joke, but of course he is unfazed after previous encounters with the likes of Crispin Glover and Harmony Korine). So, what of the supposed rapping, you ask? Is it any good? The answer is a resounding “not really.” While the filmmakers wisely make it just decent enough to convince us that an arrogant movie star who has lost his mind to drugs and the excess of stardom would believe it was his new calling, his flows are about what you’d see in the mid-range of a good Hip-Hop open mic. The rhymes are clumsy and mostly monosyllabic, the beats generic; Phoenix’s delivery is full of the gruff showmanship of a spoiled rich dude with no real inkling of the dues a great emcee must pay. The funniest part about it is that at his few live appearances as a rapper, star-struck morons who are clearly just tickled to be near an Oscar-nominated actor mostly cheer him on. At one such performance he tells the lone heckler, “I’ve got a million dollars in my bank account – what do you got?” Cue the cheers. This is why the film works, and why it is has not permanently damaged Phoenix’s acting career. By committing himself so fully to the performance and taking a great risk of being reviled and blacklisted by the Hollywood community, Phoenix has made a strong and convincing statement about our celebrity culture and the idea of reinventing oneself. Beyond any of that, though, it’s a very fun movie to watch, and all the more impressive for making you wonder what’s real even when you know it’s a hoax. Is Joaquin Phoenix faking it? Fans of Tom Wolfe‘s seminal 1968 non-fiction novel The Electric Kool-Aid Acid Test have been waiting a long time to see Alex Gibney and Alison Ellwood‘s Magic Trip, whether they knew it or not. Though a narrative adaptation of the definitive book on hippie culture is reportedly in the works from director Gus Van Sant and his Milk screenwriter Dustin Lance Black, this is the closest thing to an adaptation we’re likely to see anytime soon. In fact, it’s even better, because the documentary, subtitled Ken Kesey‘s Search for a Kool Place, is assembled almost entirely from the footage Kesey and his band of Merry Pranksters shot during their LSD-fueled cross-country road trip beginning in 1964. This is not to say you have to be a fan of Wolfe’s book to enjoy Magic Trip. Fans of Hunter S. Thompson‘s Fear and Loathing in Las Vegas and/or Terry Gilliam‘s film adaptation of it, the Grateful Dead, Allen Ginsberg, or Kesey himself will also get a lot of enjoyment out of it, along with anyone who appreciates wild, anarchic adventure. 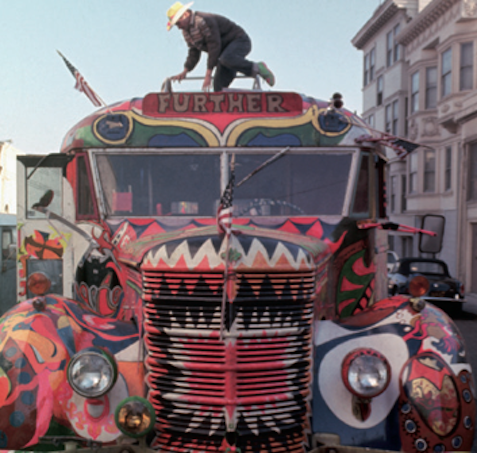 Narrated by Stanley Tucci, the film tells the story of Kesey (best known as the author of One Flew Over the Cuckoo’s Nest) and a group of friends who set off for the 1964 New York World’s Fair in a hand-painted school bus and then just kept going, traveling all around the country in an effort to expand the consciousness of the entire United States. Along the way, they threw parties with the likes of Thompson and Timothy Leary, and gave a then unknown band called the Warlocks (who later became the Grateful Dead) their start as an unofficial house band. Kesey is an extraordinarily charismatic figure, a champion high school and college wrestler who turned his back on athletics in favor of writing and exploring the landscape of his mind. He first began experimenting with psychedelic drugs as a volunteer in a CIA-funded experiment, so it could be said that the U.S. government inadvertently sponsored the madness shown in this film. Another fascinating character is Neal Cassady, the Merry Pranksters’ bus driver, a wildly energetic figure who served as the model for Dean Moriarty in Jack Kerouac‘s revered 1957 novel On the Road, which was itself a source of inspiration for Kesey and the Pranksters’ trip. Gibney, who won an Oscar for his amazing 2007 documentary Taxi to the Dark Side, and first-time feature director Ellwood, took on the daunting task of crafting a 107-minute film out of the Pranksters’ days of footage, and they succeeded admirably. Magic Trip perfectly captures the unbridled spirit of a once-in-a-lifetime era, and offers a hell of a good ride to anyone who views it.